How are you? I hope you are doing well! In today's post on my blog, I will introduce you and share with you a web shop I recently found out about which is called Baginning ( https://baginning.com/ ). I absolutely fell in love with this web shop. 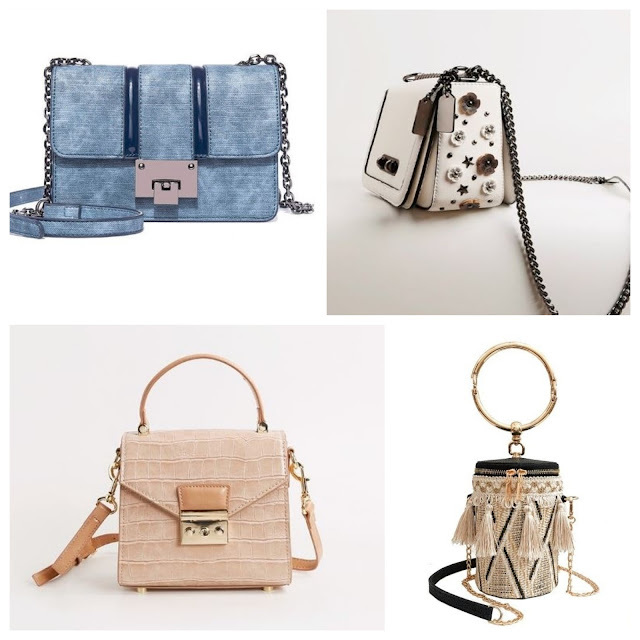 There you can find, I think, the cutest handbags ever (https://baginning.com/c/ladies-bags/ ) but the ones I first noticed were stunning chain bags (https://baginning.com/c/chain-bag/ ) . I really like all of them but the ones I am sharing with you in this post are definitely my favourite. I think they look so unique and interesting. This type of handbags can definitely level up your whole outfit. Baginning has a really wide range of handbags in every style so I think everybody should be able to find something for themselves on Baginning.com . Web shop is definitely worth checking out. All of the handbags look quality and I must say that I love how their web shop is sorted out. They basically have a category page for every type of handbags you could possibly be searching for. That provides you faster shopping and not needing to search through all of the bags to find the one you are looking for. Also, besides handbags, they are offering lovely backpacks, clutches and purses so be sure to check that out,too. The prices are reasonable for the high quality products. That was all for this post! Don't forget to check out this web shop, I am sure you will find something for yourself on Baginning.com. Thank you so much for reading! I hope you have liked this post! If you did, be sure to let me know down below! Yes I agree! These are really cute.